Circuit Playground Pizza Box DJ! #CircuitPlayground @digikey « Adafruit Industries – Makers, hackers, artists, designers and engineers! Digi-Key has recorded a series of summer break Circuit Playground projects for university students and is sharing them on Youtube. Digi-Key cuts Noah’s summer break short tasking him with creating the Circuit Playground DJ Pizza Box project from Maker.io in Another Geek Moment – Summer Break Edition. Noah chose the Circuit Playground for his project since it is a low cost, highly functional board that is quite easy to set up and run without much prior electronics experience. The Circuit Playground contains a temperature sensor, light sensor, microphone, and accelerometer. Using conductive paint and the capacitive touch capabilities of the Circuit Playground, Noah was able to complete his project and show off his DJ skills. See more and if you’d like to make your own – check out the the Circuit Playground PZ-1: Pizza Box DJ Controller learn guide from the Adafruit learn system! Would you like to learn electronics, with an all-in-one board that has sensors and LEDs built in? 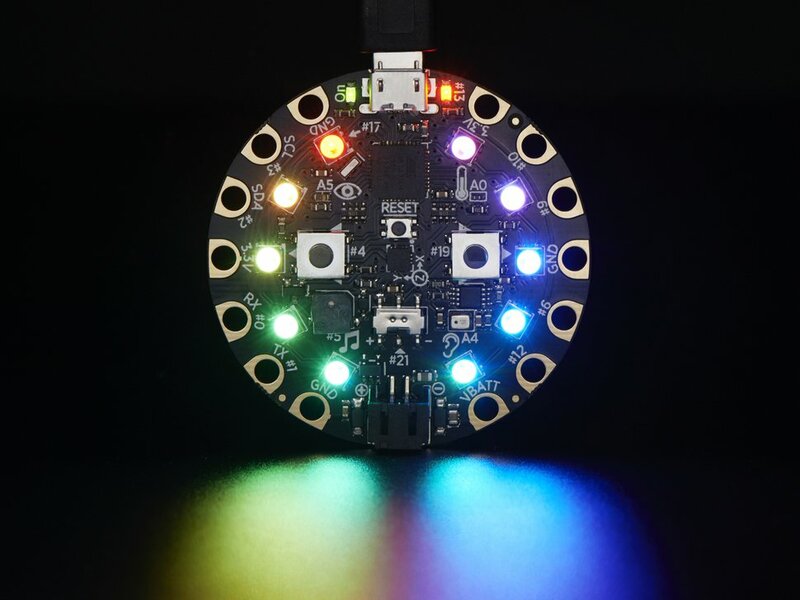 Circuit Playground is here – and it’s the best way to practice programming on real hardware with no soldering or sewing required! This is the Classic version of Circuit Playground, which comes with an ATmega32u4. It’s designed to be used with Arduino IDE and code.org CS Discoveries only. It even comes with Firmata already programmed in, so you can use it immediately with code.org Discoveries without any preparation or updates. Read more!